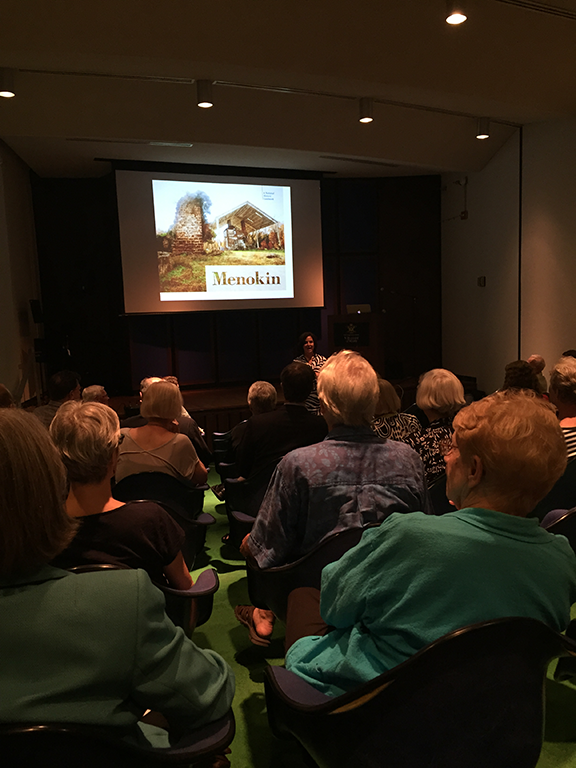 On Friday, September 18th, the Menokin Foundation hosted its second guest lecture at William & Mary’s Earl Gregg Swem Library. The first lecture of the series was on the archaeology of Menokin, featuring Dr. David Brown and Thane Harpole from DATA Investigation as guest speakers. A capacity crowd came to hear speaker Sarah Pope, Class of ’90. This past Friday, Sarah Pope talked about the Menokin Glass Project, and photographer and Menokin board member, Hullie Moore, talked about his photos taken of Menokin. Friday’s lecture saw a capacity-filled room as guests listened to the preconstruction work that has been done at Menokin this summer and learned of the vision for the next few years. The lecture series is in conjunction with the Menokin Project exhibit currently on display through October 6th in the Botetourt Gallery of Earl Gregg Swem Library. (More information on the exhibit can be found on the Swem Library website.) Prior to coming to William & Mary, this exhibit was on display at the Octagon House in Washington, DC. The debut of this exhibit on the Menokin Project was earlier in 2014 in Boston where the lead architecture firm developing the glass concept for Menokin – Machado Silvetti – is based. The Menokin Project exhibit featured a combination of photography and an exhibition on the work of the Menokin Foundation and its innovative approach to the rehabilitation and interpretation of Menokin. 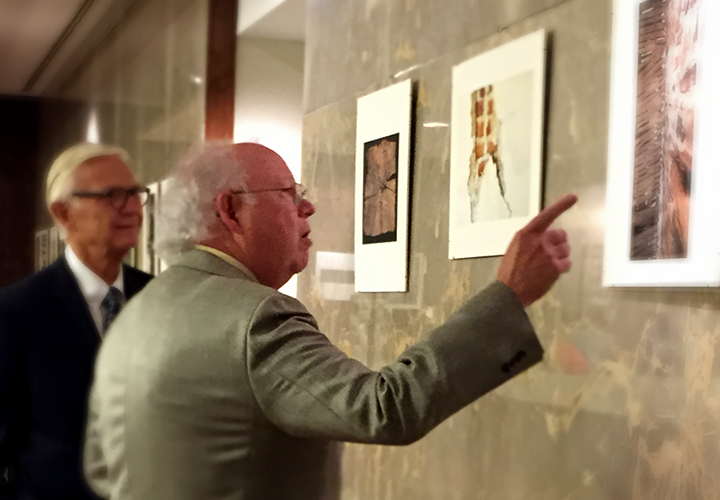 Former law school classmates, Moore gave a personal tour of his photos to Pres. Reveley. The photography portion of the exhibit, “Through Their Eyes: A Photographic Journey” was an artistic journey through the camera lenses of two photographers — Frances Benjamin Johnston and Hullihen (Hullie) Williams Moore. This collection spans over eight decades of Menokin’s history, as well as the changes in technique and the advancements in photo-technology from 1930 to 2014. L/R: Helen Murphy, Sarah Pope (Menokin Executive Director and Class of ’90), Hannah Rennolds (Class of 2017) and Penelope Saffer. 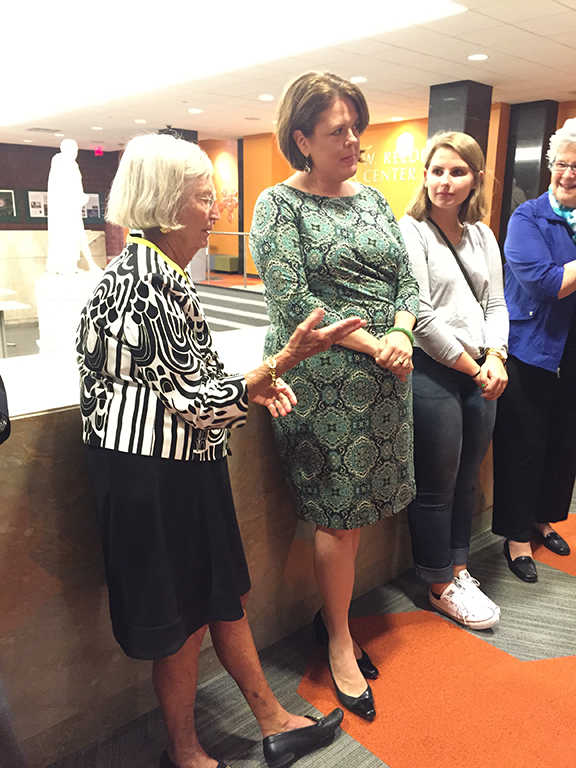 Special thanks to Menokin’s past and present board members who attended the lecture on Friday, including: Helen and Tayloe Murphy, Hullie Moore, and Penelope Saffer. Special guests also included an appearance by William & Mary’s President, Taylor Reveley, the Dean of Swem Library, Carrie Cooper, Smithfield’s Charles Griffith, Joanne Berkley of Norfolk, and many others from around the Williamsburg and Northern Neck communities. The Menokin Project exhibit will continue to travel to other regions following William & Mary. More information on the next location and lectures associated with the exhibit will be shared soon. A book featuring the photography in the exhibit is available on our Shop page. In the meantime, if you have any questions about the exhibit, please let us know: 804-333-1776 or menokin@menokin.org. The National Trust for Historic Preservation’s recent blog post features The Menokin Project. Thanks to Meghan O’Connor for an excellent article. Meghan was one of a group of four interns from American University that assisted the Foundation with interpretation strategies and ideas. We have always known that Menokin is the cat’s meow. But now there is proof! Through the generosity of a Menokin Trustee, these replicas of Menokin (in the style of the rehabilitated house), are now available for purchase. These replicas are produced by Cat’s Meow, and feature a representation of the facade of the Glass House based on the rendering of architect Jorge Silvetti of Machado and Silvetti Associates. The Menokin Replicas are $25 each plus $5 shipping. Click here to order online. 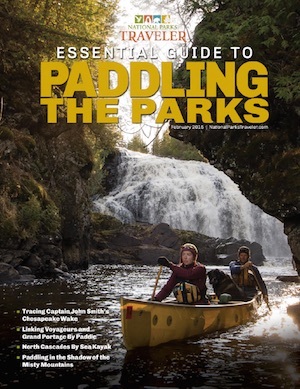 They are also available at the Menokin Visitor’s Center. All proceeds from this sale of this collectible will directly benefit the Menokin Foundation. What Do Urban Ballparks and Menokin Have In Common? Truth be told, the thought to compare the two had never occurred to me. 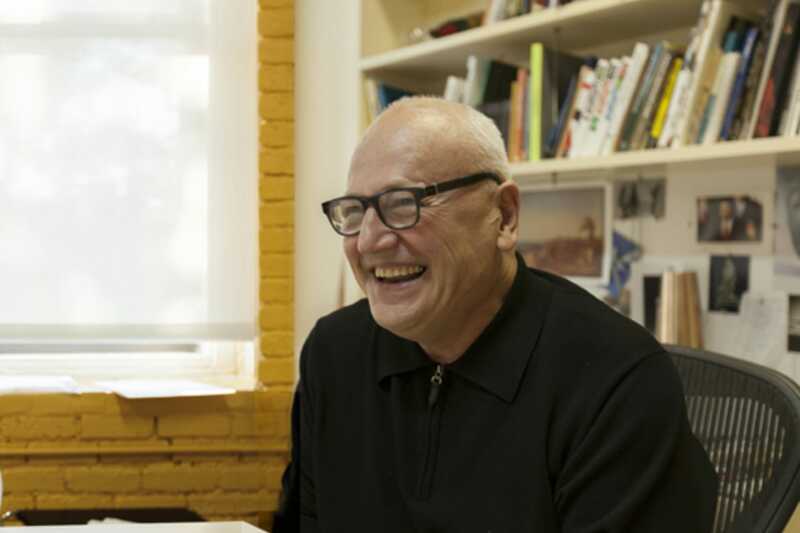 But it did occur to Ed Slipek, Senior Contributing Editor of Style Weekly Magazine when he recently visited the Menokin Revealed exhibit at the Virginia Center for Architecture. In his article Material World in the current issue, Slipek focuses on the importance of making the open call for plans and ideas when undertaking a large project such as the Shockoe Bottom proposed baseball stadium. The lesson of ‘Ruins, Memory and the Imagination: Menokin Revealed‘ is: How do we know a good solutions unless they’re set up against alternatives? Wouldn’t it be great to have 11 more design proposals for Shockoe Bottom? The process might make us crazy, but then again, it could produce something quite worthwhile. While Menokin Revealed was an academic exercise for the Harvard Graduate School of Design students of The Menokin Project’s lead architect, Jorge Silvetti, their ideas and images are thought provoking and inspiring. “Ruins, Memory and the Imagination: Menokin Revealed” runs till April 27 at the Virginia Center for Architecture, 2501 Monument Ave. For information call 644-3041 or visit architectureva.org. Photograph and Exhibit Display Design by Forrest French.